Ed Cronauer was a reserve player for Syracuse basketball for one season, playing both the guard and forward positions. Cronauer was on the squad his sophomore and junior seasons, but never played. He started his senior season as the starting guard, in the same line up as his younger brother John Cronauer. Ed would lose his starting position to All-American Bob Marcus, but would remain a top reserve on the team. He would be one of the first Syracuse varsity athletes to volunteer for service in World War I, joining the U.S. Signal Corps and the Army Air Force. His brother John asked Coach Dollard to let Ed start his last varsity game before leaving for the service. Cronauer was the head cheerleader for the varsity football team, and was the captain of the first Syracuse lacrosse team. 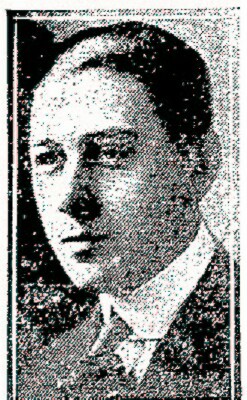 Cronauer graduated from Syracuse in 1918 with a law degree. He was an attorney and operated Cronauer's General Store in Skaneateles, NY. He served as the director of the Skaneateles Savings Banks for a while. Ed Cronauer passed away in 1995 at the age of 100.